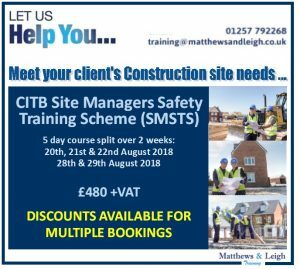 The Site Managers Safety Training Scheme (SMSTS) course is recognised by main contractors as the standard for Site Managers working on construction sites. If you are already working as a Site Manager, or want to progress your career, this course will help you. The course helps you to manage health and safety on site, develop an understanding of responsibilities and accountability for site health, safety and welfare and recognise a safe site is efficient, economical and productive.